If anyone is wondering why these reviews are coming fast and furious today, I was babysitting a friend’s two kids last night, and I read a bunch of my new issues after I got them to sleep. I’m just trying to get through all the ones I read yesterday!! 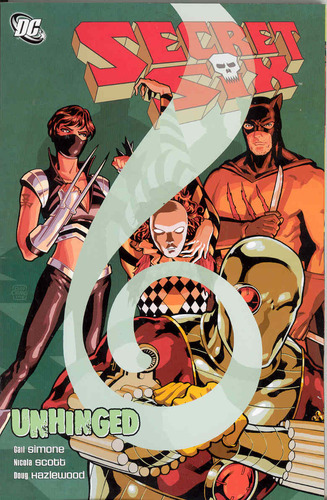 THIS was more like it – a wonderful second issue! We’re taking a team that is untested and unproven, and putting them into a situation where they have to prove themselves, and not only to themselves, but to the kids they are in charge of and the rest of the world. I really enjoyed reading this issue! The little moments were absolutely perfect! Starting from the countdown that we ended with in Fantastic Four #2, but instead of drawing it out for too long, we jump straight into a newspaper article that tells us everything we need, the kids that are reading said article and asking questions the next day. It was awesome! The kids in this story are portrayed so well – the questions they ask and the things they do. When the two were crawling all over Darla, it was utterly adorable. And really, “The Machine that Says Boop Boop” – adorable! Then, when most people would be doubting this group, we throw in a villan. I don’t know if he was a big villan in the Fantastic Four (he mentioned that he was…but really, how much stock do you put into that? It didn’t seem like a big fight, but the characterization we got from Darla, the one character that really isn’t known, was good. I’m not sure if they convinced her to stay…after she said she was leaving, we didn’t see her anymore. So I’m not quite sure if she did leave, or if she’s still hanging around. I suppose we find out next issue. I knew nothing about the Fantastic Four prior to picking these issues up. 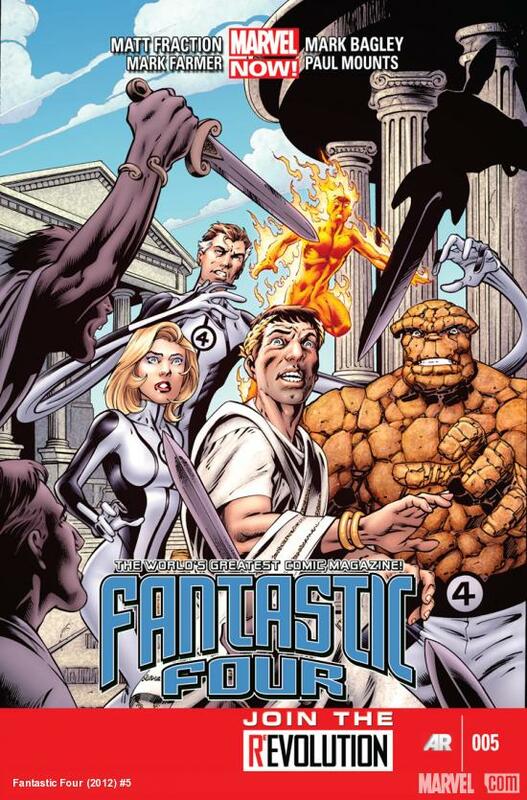 I mean, I had seen and heard of Reed Richards a few times in other series, and looked him up enough to know that he was a member of the Fantastic Four and he was ridiculously smart, but that was it. 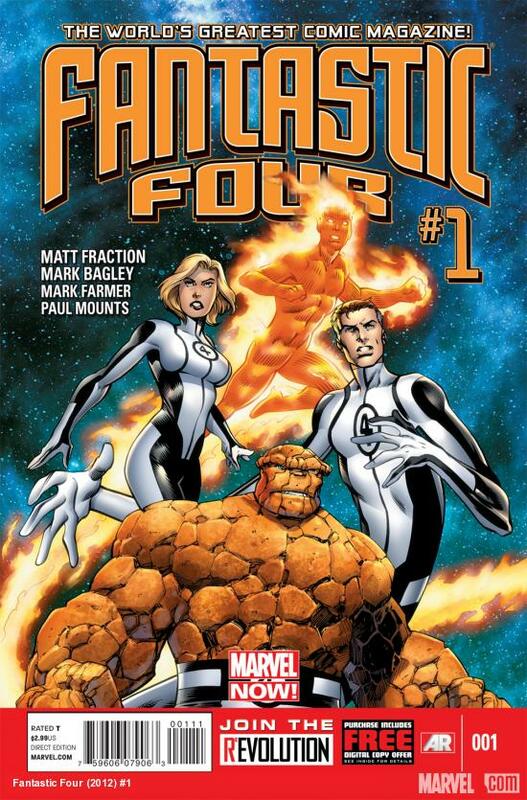 I had seen a lot of reviews and read a lot of posts from other people saying that Fantastic Four and FF were pretty good, so I decided to give them both a try. All in all, I liked this issue. It was cute in it’s little moments and had a good amount of humor in spite of the main idea. It’s really an intro issue, so there’s not a whole lot to say. I plan on picking up the next issue just to see where this is heading! 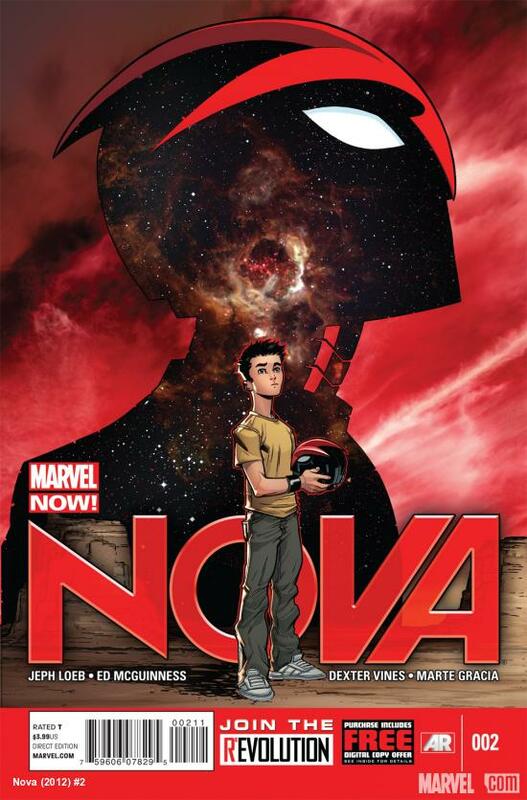 Hmmm…well, as far as introduction issues go, this wasn’t bad. I didn’t know who any of the characters they were recruiting were! 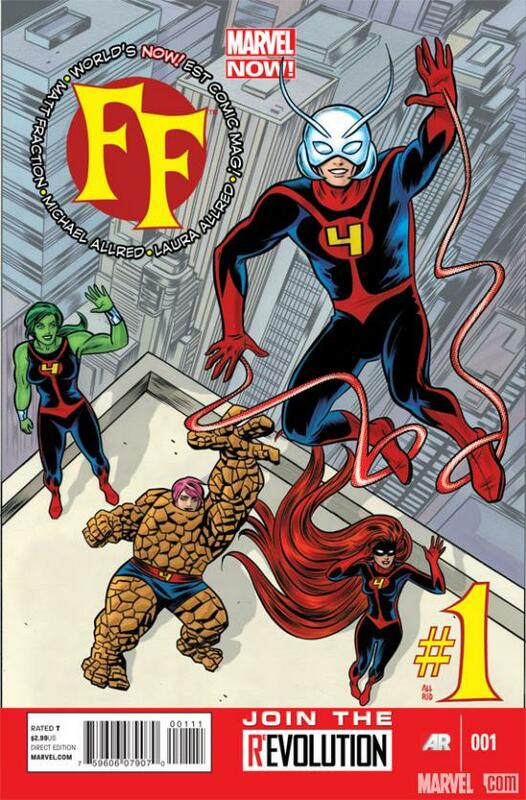 Spent a lot of time on Wikipedia trying to get an idea of who was taking over the FF on earth (couldn’t find anything on Ms Thing though…) but not a whole lot happened here, so there really isn’t much to say. I think this is another one that I’m gonna need to pick up #2 just to see where this is going! 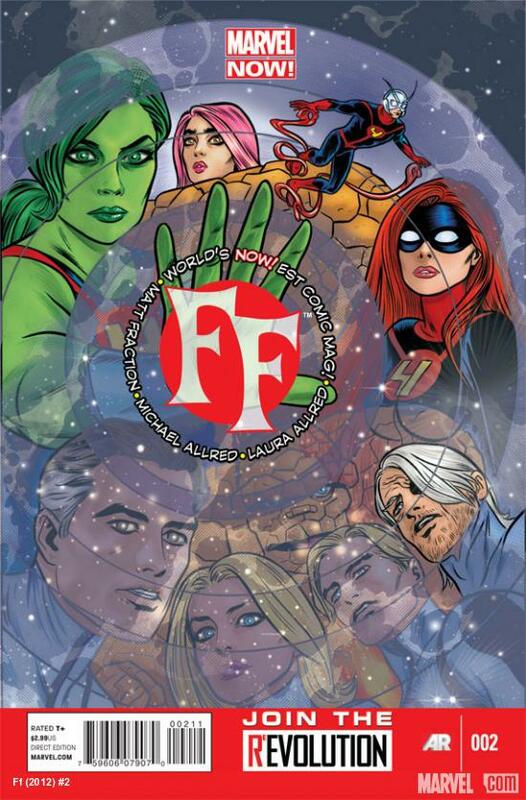 I loved the little pages of the kids explaining the FF – they were adorable, and they felt so much like kids! I was trying to hard to not laugh with Franklin making faces. It was awesome!